I take photos of blooms around the garden when I can, but sometimes I find beauty right in front of me when I am doing something else. 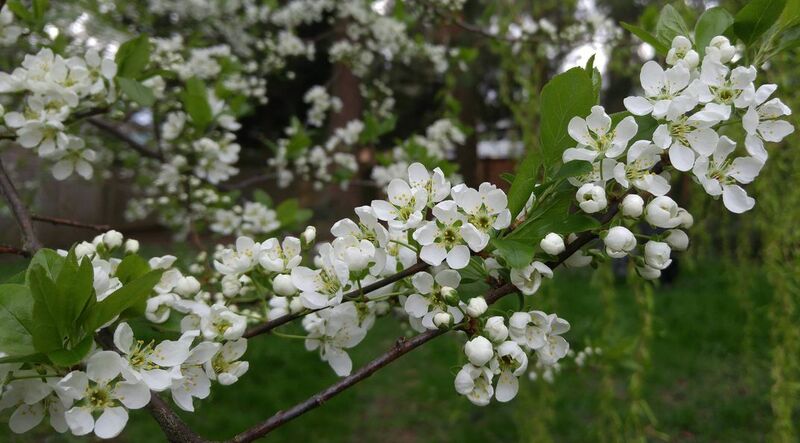 These plum blossoms caught my eye while I was weeding. Date Uploaded: Oct. 8, 2017, 3:50 p.m.